Gary Walters has BFA, MFA, and PH.D degrees from Princeton University. His doctorate is in Art and Archeology. He has taught at McGill, Concordia (where he was Director of Graduate Programs in Fine Arts), and Carlton Universities. He was Visiting Professor at the Institute for Fine Arts in Denpassar, Bali, Indonesia. In 1980 he and his partner Peter moved from Montreal to Uxbridge, Ontario, and in 2001 from Uxbridge to Hastings where they bought an old farmhouse with remarkable sloping floors and many apple trees. But there was a studio and in the ensuing years, Gary has made a lot of art and published quite a few books of poetry. In 2001 Gary and Peter began their yearly visits to S.E. Asia and in particular to Bali. This was to provide a solid ground for an interest in the East that was important for them from the beginning of their partnership. In fact, both abandoned their jobs in 1972 to travel for a year Eastwards in a British Bedford army truck pulling a trailer with the usually soggy tents. This trip, much of which was spent in India, was transformative. 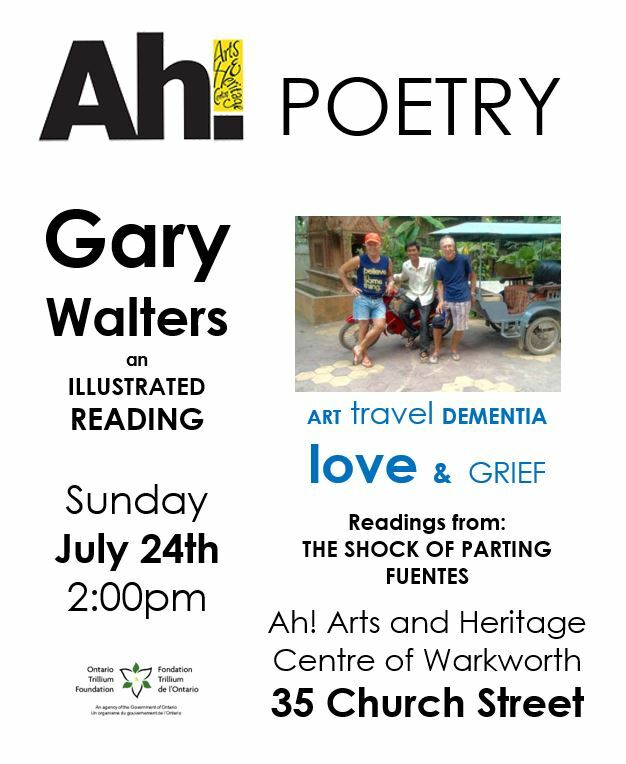 Gary has exhibited in Toronto, Uxbridge, New York, Bangkok, Bali, Peterborough, and Hastings. His books are available in bookstores, at Barnes and Noble, and at Amazon. In 2013, Peter broke his hip in a fall in Bangkok. This fall drastically worsened his advancing Lewy Body Disease (one of the three principal kinds of dementia) and he has been in long term care in Cobourg after their return from Thailand.